At first, I wasn’t thrilled with the taste. Am I supposed to be saying that on my blog? I think I am supposed to be trying to convince you that it is delicious. 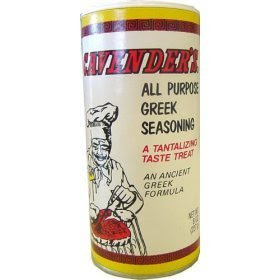 ALSO – my dear friend Grace recommended Cavender’s greek seasoning as a possible successful addition to the salad. It could make it, or totally break it. Cavender’s is pretty salty. I’m actually not sure if this dish is supposed to be sweet or something else. If any of you are brave enough to tackle it and come up with a new flavor combination – holla. 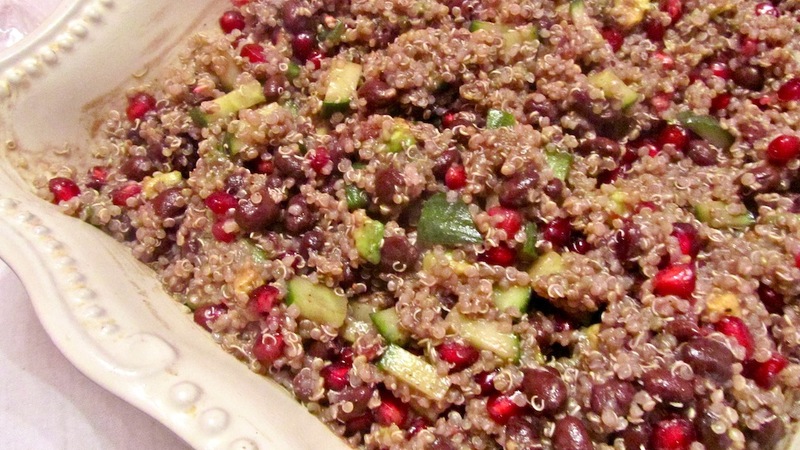 Set the quinoa in a fine-mesh strainer and rinse thoroughly under cool running water. 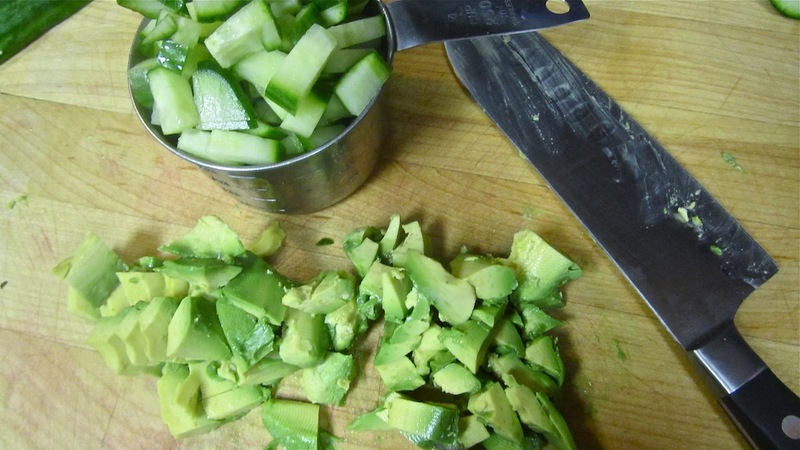 Place in a medium saucepan with 1-1/2 cups of cold water. Bring to a boil, reduce heat, cover, and simmer gently until grains are tender, most of the water has been absorbed, and the quinoa has sent out little white curlicue tendrils, about 15 to 20 minutes, give or take. Drain any remaining water and set in a wide, shallow bowl to cool completely – otherwise, everything will be a mushy mess. 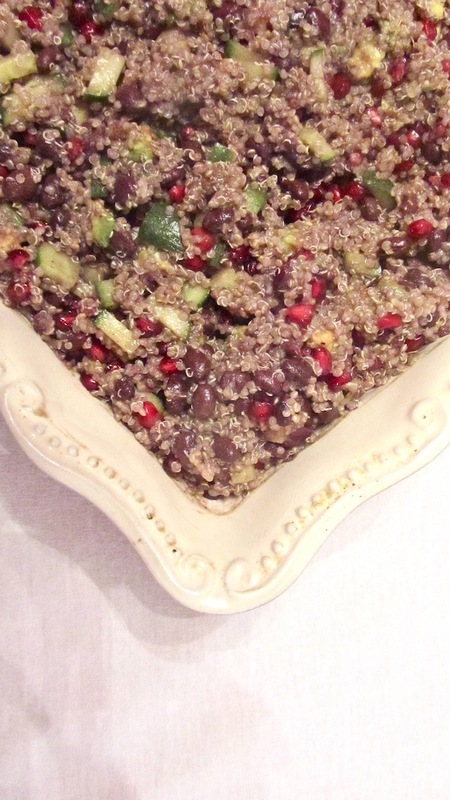 Stir in the pomegranate seeds, black beans, cucumber, and avocado. 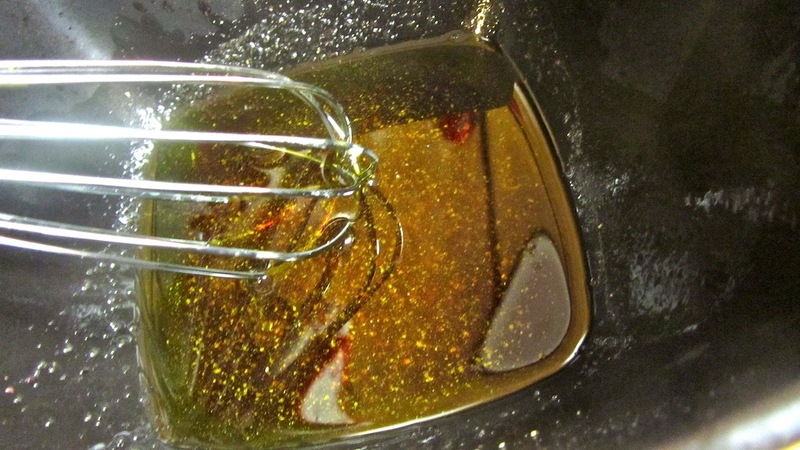 In a medium bowl, whisk the molasses, vinegars, lemon juice and olive oil, and season well with salt and pepper (I can’t stress this enough. Salt and pepper really help this dish). 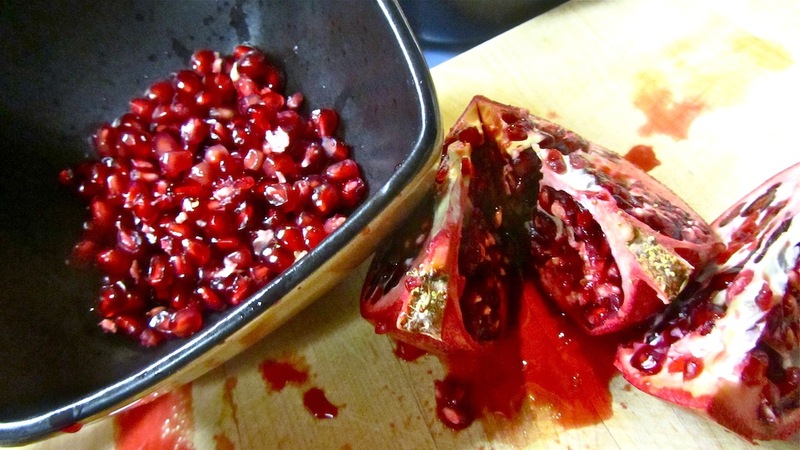 Pour over the salad and stir well to coat evenly. Sprinkle generously with additional salt to taste.